judy c. from Little Rock, AR signed. Someone from Seguin, TX signed. Someone from Peachtree City, GA signed. Kathy M. from Reynoldsburg, OH signed. Someone from Long Beach, MS signed. Marc G. from Marietta, GA signed. Marilyn & Richard H. from Petaluma, CA signed. Helen V. from Martinsville, IN signed. Miriam A. from Sanford, NC signed. In GOD I Trust....our God and Heavenly Father, And Creator....The One and Only God of the Holy Bible..The Father of Christ Jesus, our Living Saviour. Geraldine G. from Chelmsford, MA signed. jamie o. from Tucson, AZ signed. Gene T. from Ponte Vedra Beach, FL signed. Its time GOD'S People start standing up for HIM! The only ones that our government helps are the Muslims and Atheist. WE ARE TIRED OF BEING ON THE BACK BURNER >CAN I GET A AMEN! Edward L. from Rochester, NY signed. Tamara R. from Nuevo, CA signed. warren c. from Centerview, MO signed. Theresa E. from Blue Rock, OH signed. Someone from Ocean Springs, MS signed. Someone from Saint Marys, GA signed. Someone from Rochester, IN signed. Someone from Yakima, WA signed. Larry H. from Swartz Creek, MI signed. William H. from Richland, MO signed. Someone from New Braunfels, TX signed. Phyllis K. from San Angelo, TX signed. Jennifer V. from Las Vegas, NV signed. Hope N. from Chamois, MO signed. James N. from Sun City, AZ signed. James D. from Franklin, LA signed. Jan W. from Enid, OK signed. Daniel L. from Brunswick, ME signed. 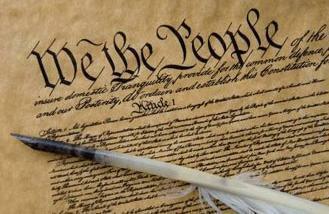 The constitution is the back bone of this country and we must defend it against both foreign and domestic. Anyone who would try to do something to destroy the original message of freedom of religion is an enemy of us all.